"They eat like a fish should"
Join us for a float trip targeting Smallmouth Bass on the fly. 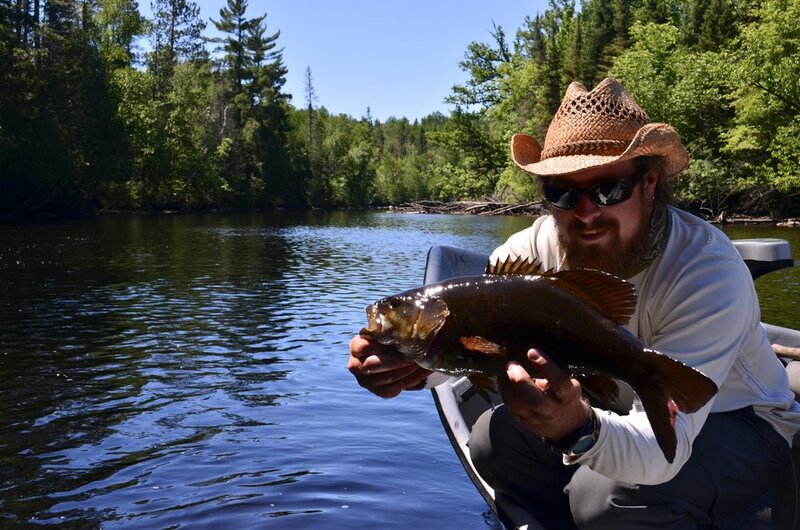 The North Central and Western parts of our state offer up a plethora of outstanding trophy smallmouth fishing opportunities. From the smaller rivers to the mighty Chippewa, let the Northwood's nature and beauty set the stage for your next adventure. Smallmouth Bass are a hardy game fish, making them excellent quarry on a fly. From mind blowing streamer eats, to silent dry fly takes, smallmouth come to the plate ready to play ball. Watch out though, as soon as they are hooked, the real excitement begins. They will unleash their full fury of jumps, dives and under-the-boat runs, where they will use brute force and the current to test any angler. These trips are offered from May through September.